Dune Sound is a company born from the association of two composers and classical musicians. 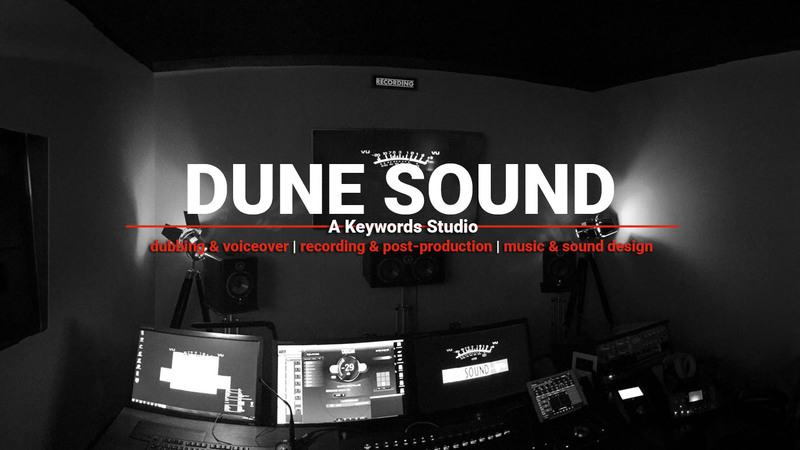 Since 1997, Dune Sound has been expanding into the audio-visual world, with music, dubbing, sound design and post-production. 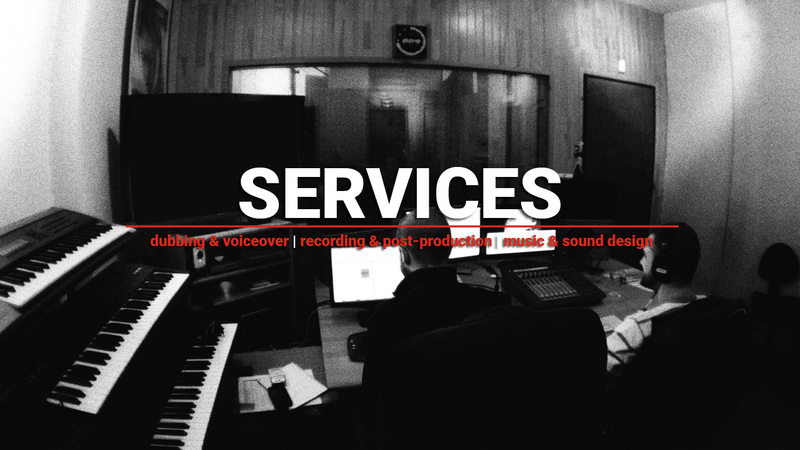 In 2006, after several years of close collaboration, both Dune Sound and Around the Word came together to offer a more complete range of services for the audio-visual sector and for the localization of video games (translation and recording). Today, thanks to the Group’s offices in France, Germany and Canada, and to its international network of partners, the company is proud to offer its services in many languages. Dune Sound has three in-house studios and also records in eight other sound booths, thanks to solutions put in place in nearby partner studios. The amount of sound booths can be increased whenever necessary. All of our studios are soundproof (from NC 25 to NC 15!) 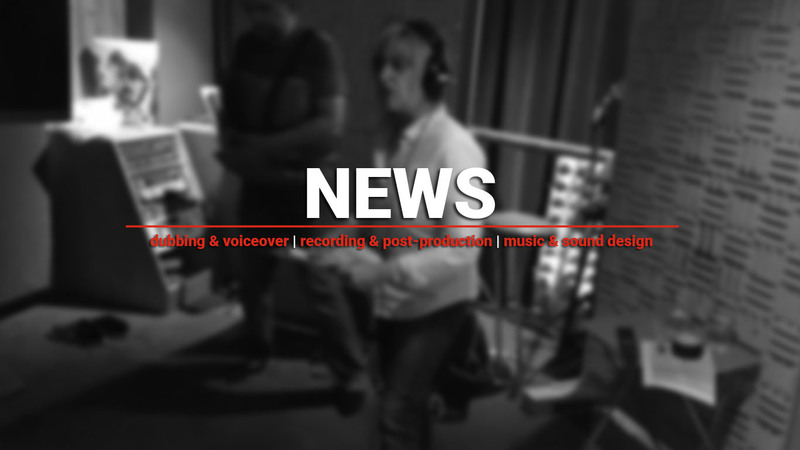 and are equipped with the latest Pro Tools HDX and Neumann digital microphones (D-01). Our recording chain is fully digital and we can of course record in analogue too (we have a large range of different microphones and pre-amps). For accurate sound reproduction and for your comfort, our studios are equipped with either Mackie HR824 monitors or Focal 5.1 systems with Trinnov D-Mon Optimizers. We have developed our premises and our IT infrastructure in such a way as to safeguard the confidentiality of your projects. 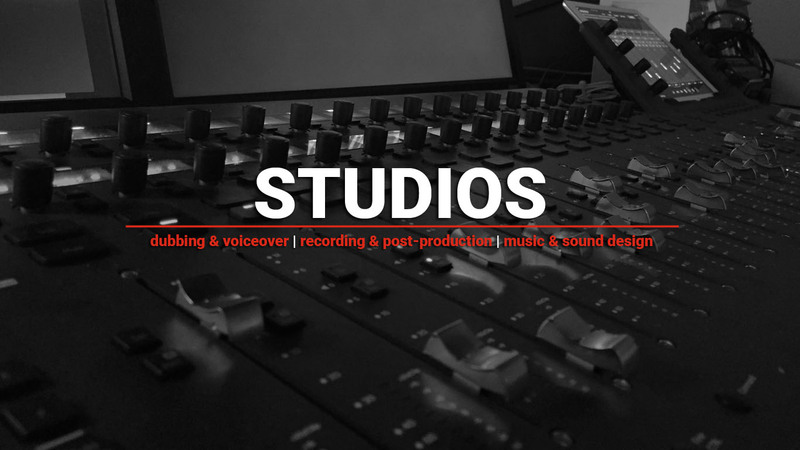 From corporate videos to video games, spanning audio books, soundtracks, TV series, trailers and advertising, our passionate team will give your projects a voice to be heard. When it comes to the choice of artistic director, casting from a database, organizing live castings, recording with conversational continuity, with audio or lip syncing, we use our skills with artistic quality in mind. We produce targeted and qualitative mixes that will enhance your project and ensure the best possible end results. The quality of our professionalism and the attentive availability we offer the director and/or the project manager, create a close and trusting dialogue. 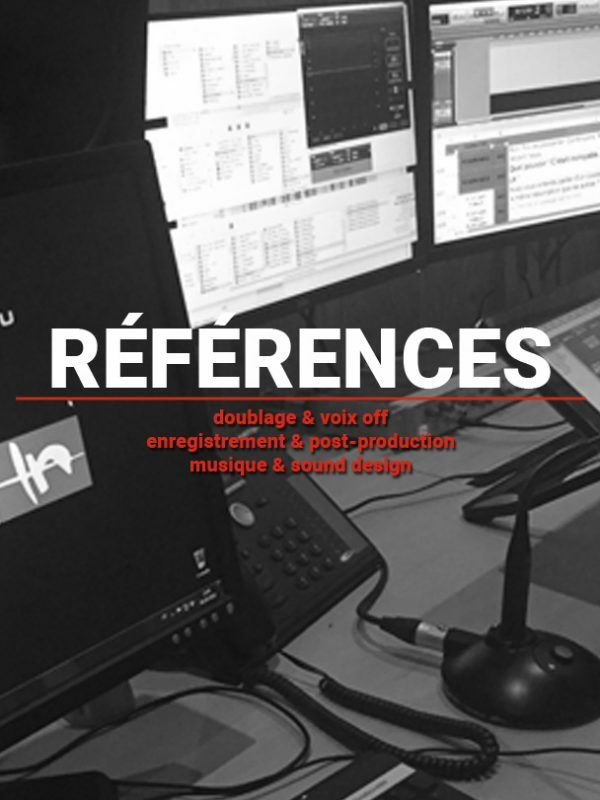 Our know-how and our tools allow us to produce works that are broadcast-ready in the shortest possible time. Our composers, all with strong references, can rapidly respond to your requests, offering you a wide variety of music, ranging from minimalist musical pieces to epic musical works. 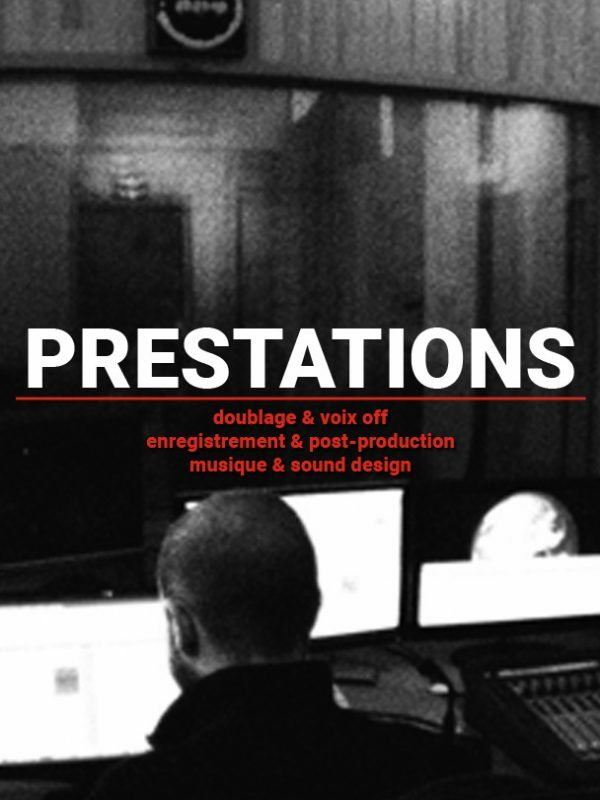 The creation of sound effects is also one of our greatest strengths, both thanks to our team’s creativity and the fact that we can apply effects on very large volumes of sound in record time. 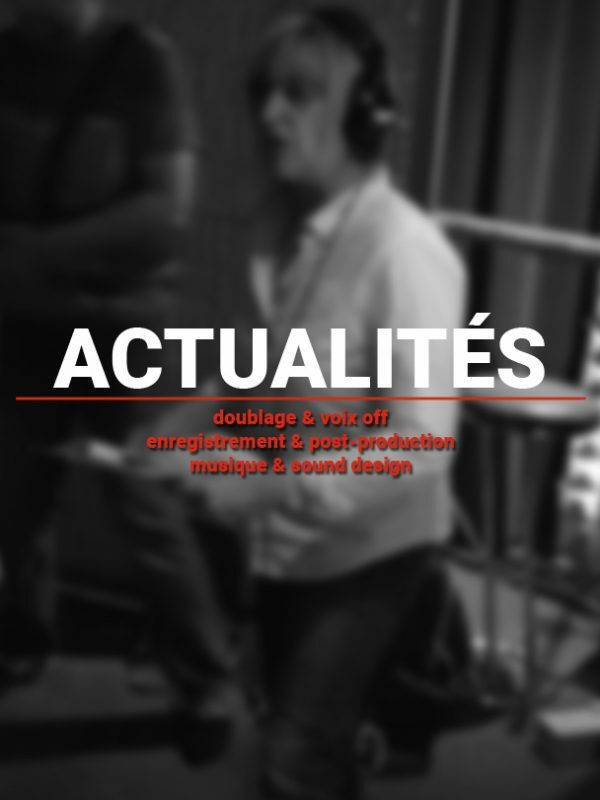 Whether it be in music, documentaries, series, sound design, mixing or, of course, dubbing for video games, we put all our know-how and the tools we have developed in-house at your disposal (budget analysis, choice of sound engineers, artistic directors, etc.) for a rigorously professional end result! Depending on the media, type of description, target age, timeline and budget, we can provide you with a unique solution: two audio channel output options for each of your projects. Human and synthetic voice options are available. Synthetic voice can provide economies up to 50% when compared with traditional described video. Our process allows our creative people to focus on the artistic aspects of the task at hand, allowing them to complete projects 30 to 50 % faster. 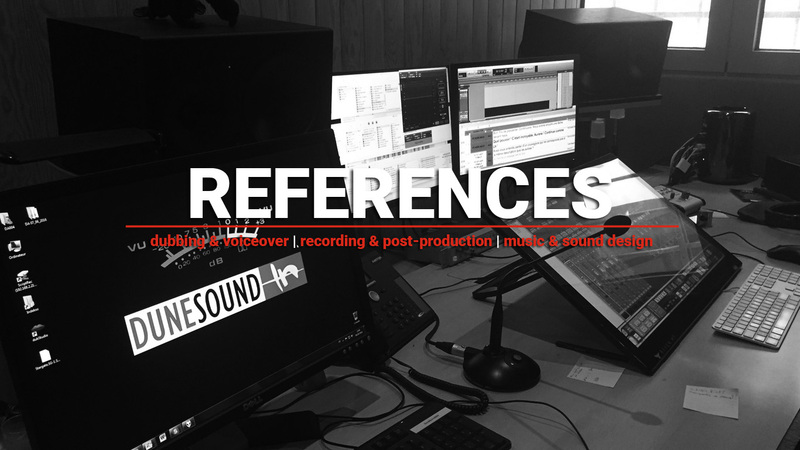 For over 15 years, the company Zero Retake has been a specialist in audio post-production for cartoons, documentary films, television series as well as films for television. 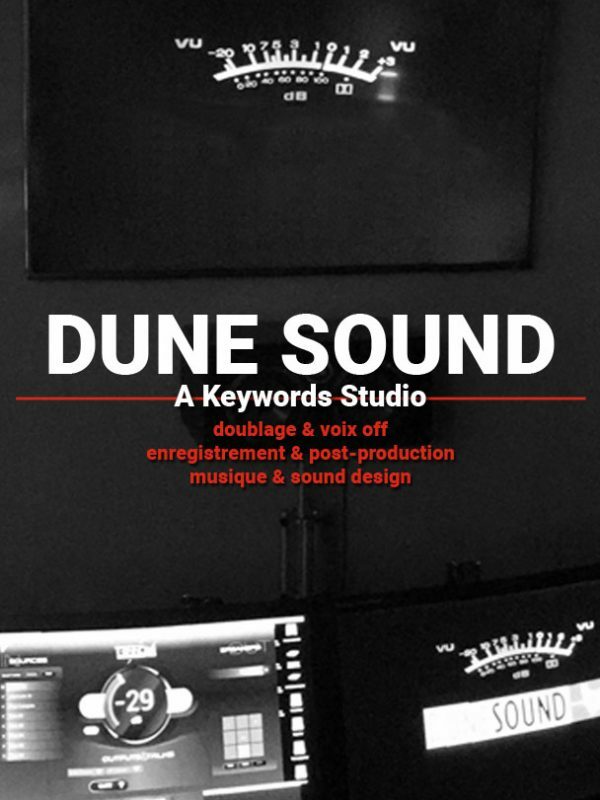 Thanks to a partnership with the companies Dune Sound for dubbing, and Planimonteur for laboratory work, you will benefit from a comprehensive package for your soundtrack project: from the sound recording of actors, to the recording and editing of sound effects, the creation of original music, 5.1 and stereo mixing, right up to broadcast-ready deliverables. 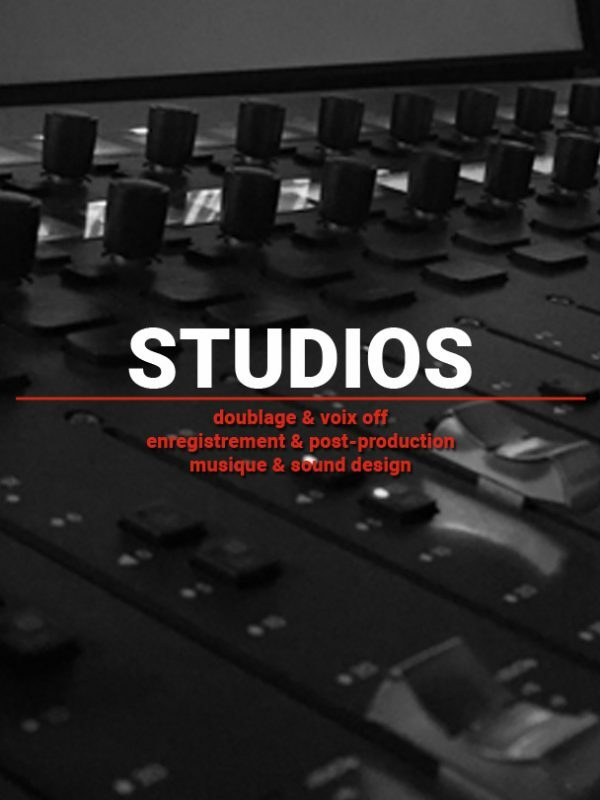 As these services are provided in the 16th arrondissement of Paris, in close proximity to the main French television channels, all three companies will welcome you, in a professional and friendly environment, for the follow-up and validation of your episodes. With our experience, our know-how and the quality of our services, our teams will accompany you throughout your projects. Please don’t hesitate to call us or write to us. By checking this box, I accept and acknowledge Terms and Conditions for cancellation and modification.